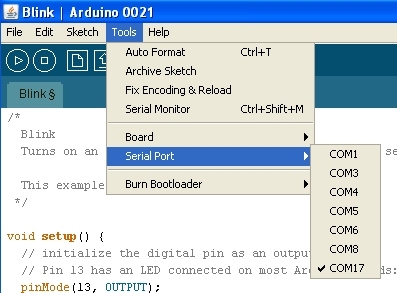 This tutorial describes the installation of the Arduino IDE Development software and drivers for the Windows Operating System. 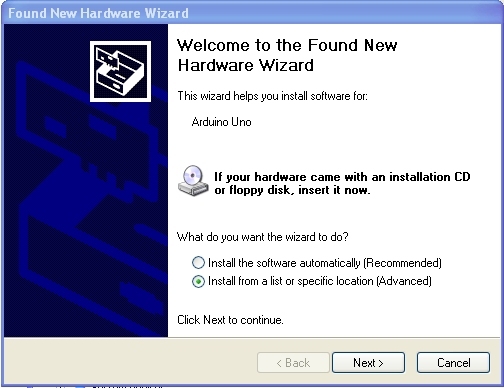 The images and description is based on installation under Windows XP, but the process should be similar for Vista and Windows 7. 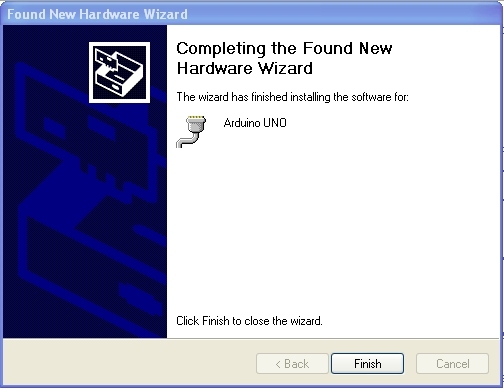 Next, plug in your Arduino board to your computer with a USB cable and wait while Windows detects the new device. 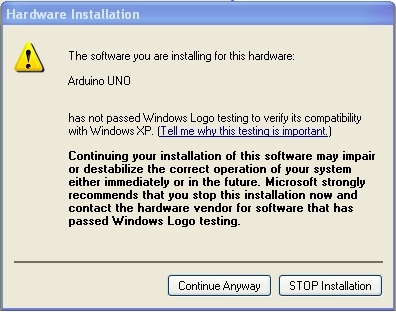 Windows will fail to detect the device as it doesn't know where the drivers are stored. You will get an error similar to the one right. After selecting Next you may get a message like the one shown right. Open the Windows Control Panel and select the System app. 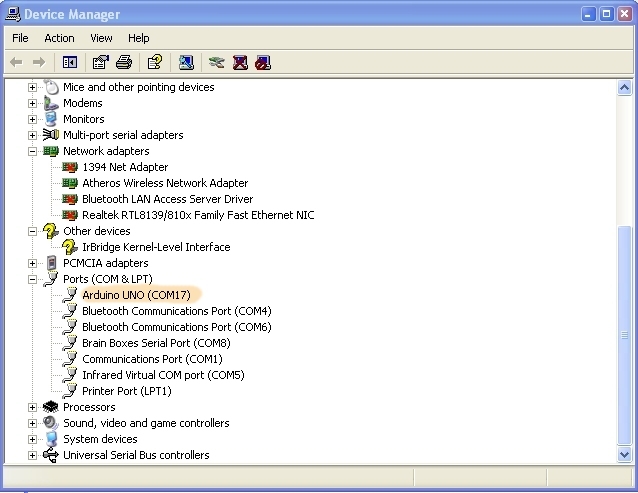 Click on the Hardware tab and then on the Device Manager button. Thats it. 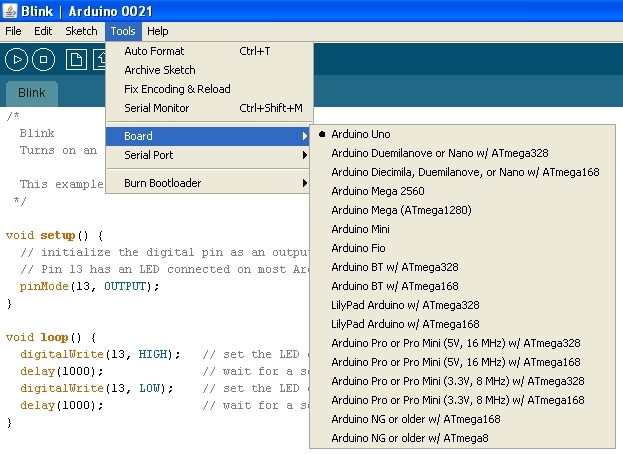 Now try opening the Blink demo program from the example directory within the Arduino IDE, Verify/Compile it and upload it to your board. You should see the TX and RX leds on the board flash showing you that it is working. Finally the built in LED connected to Pin 13 will flash. 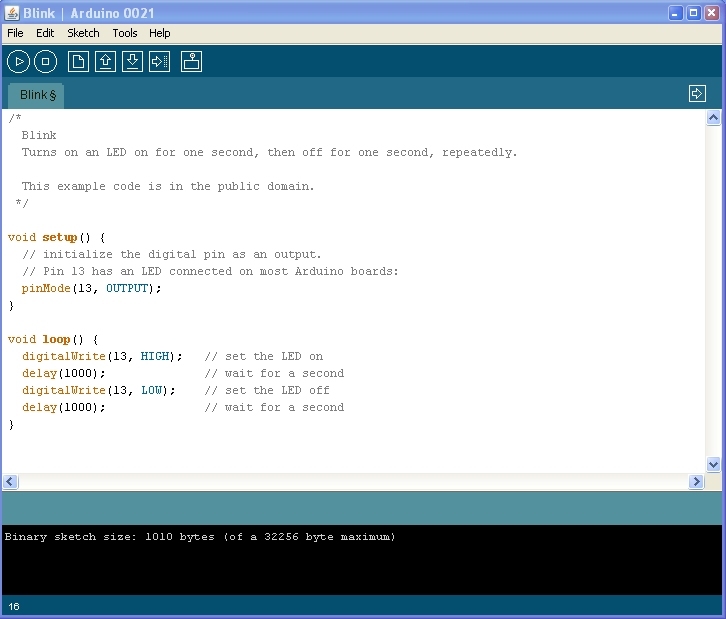 Thats your first program running.